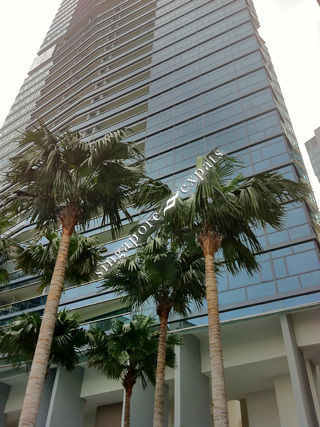 SOLEIL @ SINARAN is located at 2, 6 SINARAN DRIVE in district 11 (Chancery, Dunearn, Newton) of Singapore. SOLEIL @ SINARAN is a 99-year Leasehold Condo development consisting of 417 units. SOLEIL @ SINARAN is completed / TOP in 2011 (estimated), developed by FRASERS CENTREPOINT HOMES. Educational institutions like ST JOSEPH INSTITUTIONAL INTERNATIONAL, SAN YU ADVENTIST SCHOOL, GLOBAL INDIAN INTERNATIONAL SCHOOL, BALESTIER HILL PRIMARY SCHOOL, FARRER PARK PRIMARY SCHOOL and ANGLO-CHINESE SCHOOL (PRIMARY) are near to SOLEIL @ SINARAN. SOLEIL @ SINARAN is accessible via nearby NOVENA, NEWTON and FARRER PARK MRT Stations. Soleil has full condo facilities. It is a paradise by itself. Superb night view at level 20 facility deck! Best of both worlds; quiet and self-contained with convenience at my disposal. Side gate to Novena Square (leading to MRT) is my favorite. Just Besides Novena Square and Novena MRT and Medical Centres. Minutes to Orchard Road.